We are looking for friendly individuals who love kids. Plus, you’ll always have weekends, holidays and snow days off! 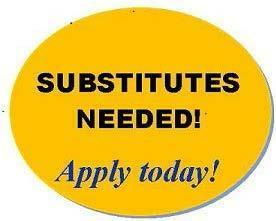 If you are interested in becoming a Substitute, in any of these support staff positions, submit your resume to mary.wenzel@edgewoodschools.net or to the Edgewood Board Office, 3500 Busenbark Rd., Trenton, OH 45067.